Sony’s streaming video service has come a long way since launch, but has a tough road ahead. 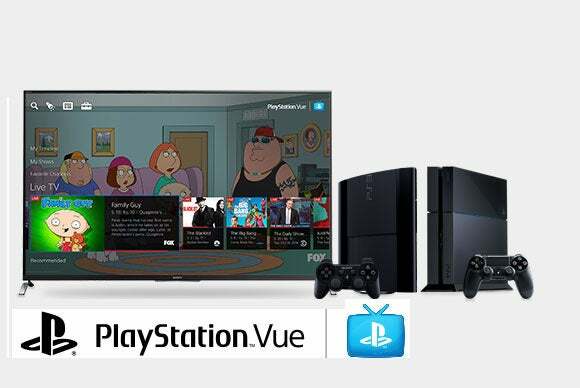 Sony is cutting the price of its PlayStation Vue TV service as it tries not to get lost in the streaming video shuffle. The basic PlayStation Vue “Access” package, which includes more than 60 live streaming channels, now costs $40 per month. The “Core” package costs $45 per month and adds regional sports networks, and the “Elite” package includes more than 100 channels for $55 per month. These prices are all $10 per month cheaper than when PlayStation Vue launched a year ago. Alongside the lower prices, Sony is also adding new channels from Disney and ESPN, as announced back in November. The main Access bundle is getting Disney Channel, Disney Junior, Disney XD, Freeform, ESPN, and ESPN 2 at no extra charge. The Core and Elite bundles will also get ESPNU, ESPNEWS, and SEC Network, while the Elite bundle is getting the Fusion network. ABC local stations will be available as well, but only in New York, Los Angeles, Chicago, Philadelphia and San Francisco for now. Down the road, Sony says it will also add ESPN3, ESPN Goal Line, ESPN Buzzer Beater, ESPN Bases Loaded, Longhorn Network, ESPN Deportes, and ESPN Classic to PlayStation Vue, but pricing and package details are unclear. PlayStation Vue launched in March 2015, and while it’s not much cheaper than a traditional pay TV bundle, it tries to fix some cable’s uglier elements. Users can stream live channels through PlayStation consoles, Amazon Fire TV devices, Chromecast, iPhone, and iPad, and can also watch a selection of shows on-demand. Instead of a traditional DVR, PlayStation Vue stores shows in the cloud, so they’re available on all devices without scheduling conflicts. And unlike cable, there are no hidden fees, equipment rental costs, or installation charges. Unfortunately, PlayStation Vue’s multi-channel packages are only available in a handful of U.S. markets: Chicago, Dallas, Los Angeles, Miami, New York City, Philadelphia, and San Francisco Bay Area. For users outside of these markets, Sony only offers a measly selection of standalone channels that are not part of a typical cable bundle. Why this matters: The $10 per month price drop and new channels should make PlayStation Vue more attractive to potential cord cutters, but the sledding isn’t likely to get much smoother for Sony regardless. With Dish’s Sling TV service adding more channels, and AT&T setting up its own streaming TV service for later this year, anyone looking to ditch cable TV will have several streaming channel bundles to choose from. Hey, it’s almost as if more competition results in better service. Who knew?